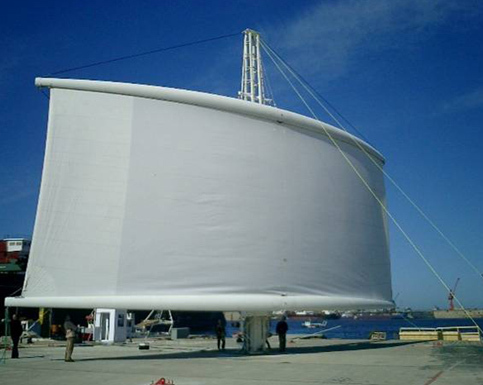 Today’s super-sized sailing yachts need to deliver safe sailing systems, and to be both practical and easy to use, whilst also guaranteeing sailing performance. Running costs inevitably mean a focus on small sailing crews, and crew members must be able to perform all sailing manoeuvres with ease, often at short notice. The pleasure of a superyacht underway, powered up in a seaway, should remove crew vessel handling issues or safety concerns. The aesthetics of superyachts also means that traditional sails and deck lines are a frustrating design challenge. 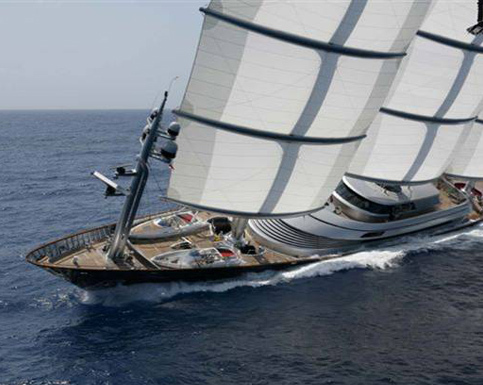 The team assembled to design and engineer the carbon composite Dyna-Rig solution for the superyacht Maltese Falcon envisioned a sleek and attractive vessel capable of up to 18 knots. Launched in 2006, and still winning races, Maltese Falcon has proved the Dyna-Rig is a highly efficient, fast, easy to use, reliable, safe and practical solution for modern superyachts. 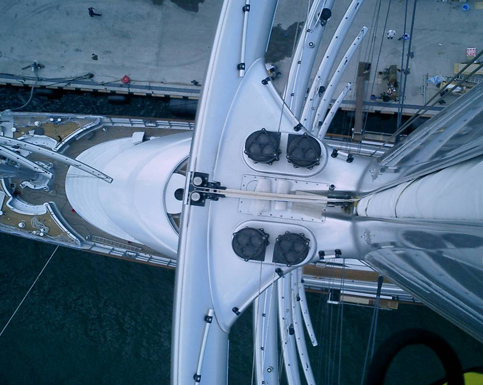 Falcon’s sails can easily be deployed and furled, with reduced mast and spar loads, and the masts can rotate to depower the rig and feather the sails quickly. Dyna-Rigs also make it possible for any large superyacht to leave and arrive at an anchorage under sail and to cross oceans without even having to start an engine. Embedded fibre optic sensors give a comprehensive rig load status and provide real-time warnings, historical data and other information to optimise sail sets. With no rigging, Dyna-Rigs also have less wear versus conventional sailing rigs. 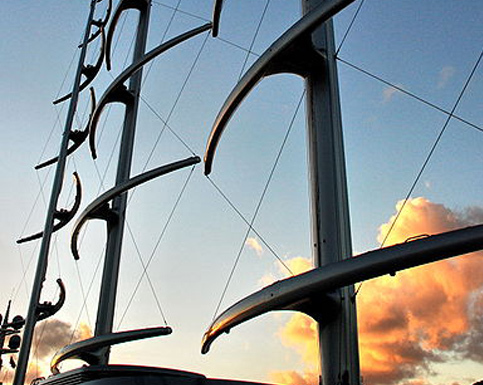 The high strength, lightweight and fatigue resistant nature of carbon fibre composites is the key enabler, and Damon Roberts has been integral to the success of freestanding and rotating mast Dyna-Rig systems. 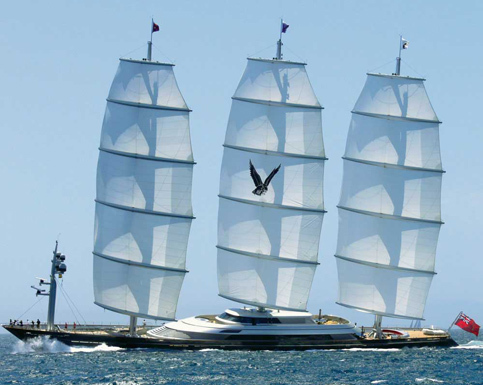 "The free-standing, carbon spars on Maltese Falcon stand 200ft tall and support nearly the same bending moment as the wings on a 767. 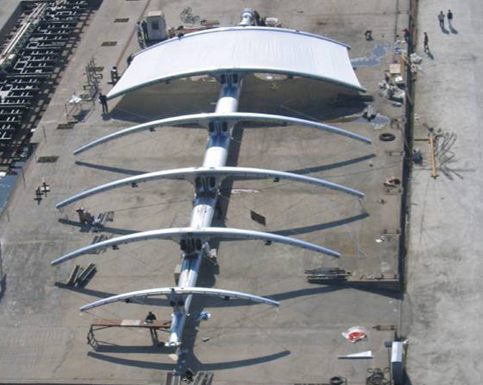 Each spar carries more sail area than the entire wing on a 747 or A380. The wall thickness at deck level is over two inches, exceeding that of the 787 wing, which is the thickest, most highly loaded part of our Dreamliner. There is a display in the wheelhouse on Maltese Falcon, based on 96 fibre optic sensors, that tell the crew what percent of design load they are at when sailing. This is more advanced than any aerospace application for composite structures."